UI – Part 102 – Summary of Islam (Islamist) – Wake Up! Wake Up! A summary of Islam and Christianity were promised in my Blog #100. I encourage any reader to add to the lists, one or the other, to contradict, to debate and to enlighten. Christianity and Islam are important Religions comprising ½ the world’s population. They differ, however in so many ways. I have become calloused in my thinking and find Islam more Ideology than Religion, but that is me. Enforced for Allah. Born as a Muslim, to leave you die. To even consider another religion is wrong. If you volunteer for Islam, leaving becomes a similar dilemma. Freedom to think is restricted. Equality of humans is not considered; they are not equal. Do not consider the laws of man, only those of the Quran, the Sharia. It matters not whether or not they make sense or are reasonable, they are to be obeyed as they are the Will of Allah. Natural laws and divine law are the same, thus no need to doubt or explore; it is as Allah Wills. God and Allah, from an Old Testament perspective, have similarities, both uncreated. Allah is all-powerful; tyrannical; all humans are below him. Authority is to be obeyed without question; the highest authority is Allah. Islam sees the Trinity (Father, Son and Holy Spirit) as polytheistic – the New Testament perspective. Muhammad said there were 99 natures of Allah, which some have seen as polytheistic, but today’s ulema see all natures a composition of the oneness of Allah. Debate remains as to what is ‘essence’ and what is not. If all are the ‘essence’ of Allah, then that may be as One, but if not there is concern that multiple idols of Allah are represented. There is not one exact, agreed upon list of the 99. Islam – Salvation comes through works and Allah as the final judge –regardless of the magnitude of good works attained. Measure good works versus not good, or evil. It is like adding weights to a scale, good weights on one side, the weight of evil on the other. Salvation in Islam is never assured. The Quran refers to the ‘good news’, but does not understand it. Fundamentalists claim the Quran is ‘uncaused’; it is the revealed truth and cannot be questioned. Allah loves only those who believe in Allah. Christ as Savior – not considered by Islam. Yet the Quran reflects on the Virgin birth of Jesus and calls him the Messiah. Original sin not a concept in Islam, yet all Muslims see the evil nature inherent in man. Good can change and evil can be good; it is Allah’s choice. A reasonable thinking person cannot discern good vs. evil; that can only be decided from the Quran and the Hadiths (but which Hadith?). Scholars interpret (And one would think that considers thought and reason) that which has been revealed. The selfish nature of man condemns him, if it is good for him, to see good as good and evil as good; thus reason has no impact. Only that which Allah has revealed can keep man on the right path. Only Allah has distinguished for man what is evil. Islam views Jesus as a prophet, along with Muhammad, who will return with Muhammad. Both were mortal. The Quran is rooted in the Bible; yet the Quran calls itself the corrected copy. Would there be a Quran without the Bible? Without the Bible where would the Quran be; what would be its source; what would there be to correct; who would be the people of history to which it refers? The source document is the Word of God, altered by Muhammad and his companions to comply with their desires and their way of life. Islamic Leaders have special privileges and exemptions from those required by the Quran on believers – As did Muhammad. Muhammad is the example for living – living as an authoritarian tyrannical leader. ‘Thou shalt not kill’ is not a commandment in the Quran, as apostates, and non-believers (even moderate Muslims whose view differ from one another) are free game for the hunters that consider themselves righteous. Limitations on murder are only as described in the Quran as Allah’s revelation. Who decides who is the most “Islamic”? Is it man or Allah? When man intervenes is he serving Allah or himself? An ulema’s consideration of the Quran, is it subject to doubt, to interpretation, to personal or selfish desires? For the Muslim praying is more a formal act, required by Allah, not a means of communications with Allah. The prayer is rote, repetitious. For Islam Civil Laws and Islamic Laws are the same if a Theocracy. They do not protect the ‘common good’, only that which is Islamic and interpreted by the scholars of Islam that advise the leaders of a given Muslim area. Thus we observe the suppression and oppression of women, limitations on education, a lack of advancement in business, an anti-capitalistic viewpoint, the inability to reason and think for oneself (as Allah has done it all), and inactivity by the youth. The inactivity of the youth is filled with education in a madrassa that instills hate for the West, teaches that which only Allah has revealed, in many cases promotes a desire for martyrdom, and instills resentment for anything that shows growth, wealth, and a united pluralistic community. There are a few secular countries where Mosque and State are separate, civil laws and Sharia differ, and are predominantly Muslim. They also were areas where the wrtings and teaching of Al-Ghazali were restricted. The chant “Jihad, Jihad, Jihad” is heard all too frequently by the male youth in schools in Muslim countries. Islam is a ‘no-growth’ philosophy. Anti-science; anti-philosophy. Allah has already provided everything. It is as it is as Allah wills. Allah can do good, but Allah can do evil as well. Such evil would be good as Allah wills it. It is up to Allah. (More the Sunni viewpoint – Sunni = the vast majority of Muslims). Multiculturalism is not a goal of Islamists. The preference is an isolated micro-community within a nation that may not be a majority Islamic. The ultimate objective of Islam is a macro-Umma. One world, all nations, Islamic, governed under Islamic (Sharia Law). Images of Allah and Muhammad are now forbidden. No imagination. Islamization of the world is the goal. For many, the more fundamental, the plan is to utilize time and patience to instill in all societies a support for Islam, a defense against any form of persecution (real or perceived), to gain access into societies major organizations and political entities, to obtain media support, and to have Sharia Law adopted. It is a step-by-step process. The Quran abhors the thought of loving the enemy; it emphasizes only fighting the enemy. The enemy is anyone that does not believe in Allah. Freedom of Speech; freedom of press; freedom of expression; freedom to think (reason) is forbidden in Islam by the more fundamental sects. All is controlled in the most Islamist areas. A Muslim woman is constrained, not free, dependent on the system and the demands made by man. A woman is a second class citizen. Woman are to be provided for by the males; but they are also limited in their choices and their freedoms in exchange. The Quran engenders enmity for Christian and Jews. It is a call to hate. Love of neighbor is only as a matter of convenience to be accepted, not out of love. As a whole Muslims are not unified in interpretation – there remain those willing to think, that desire freedom of speech, assembly, the freedom of the press, and conscious thought and differ on the imposition that ‘reason’ is heretical. They are the minority – associated with the Mu’talizites, Sufi’s (to a limited extent) and Averroes’ writings (the source of Creation is knowledge and wisdom). Reason has been left behind. As a result the Muslim dominated areas of the world show little progress and less desire to become a part of what would be called the ‘modern’ world where freedom and separation of State and Religion is preferred. Those scholars that have interpreted the Quran and Allah as wanting a rational body of believers have been over time diminished in their prominence. When possible their writings have been destroyed. (Some writings considered totally destroyed have been found only to reveal there were those who thought, applied logic, allowed for doubt and discussion, and embraced reason; there were periods of extensive progress, learning and scientific advancement). Reason is feared, as there exists a concern that under a microscope, logic applied, Islam would fall behind and masses of Muslims would defect to another religion – if not for another faith, such as Christianity, for a new Islam, where ‘reason’ would be employed to the fullest – used to know right and wrong, divine justice, the unity of God loving all mankind, and respecting man’s free will. Islam, by excluding reason, can never be rejected. No foundation for reason; no rational application to say no to Islam. Freedom of religion is a negative. Pluralism is viewed as attempting to mix oil and water, the Muslim objective to separate the two completely. They will soon discover the world is not all oil. Free-will is anathema. It contradicts the requirement to obey Allah totally. Man must be compelled to do good. Morality may be non-existent; If Allah allows it is moral; if Allah forbids, it is immoral. The measure of good and bad is only Sharia Law (not reason). If Allah is the sole cause of everything, is He not also the cause of evil? The religion relies on the Will of Allah. Allah does what He wills. 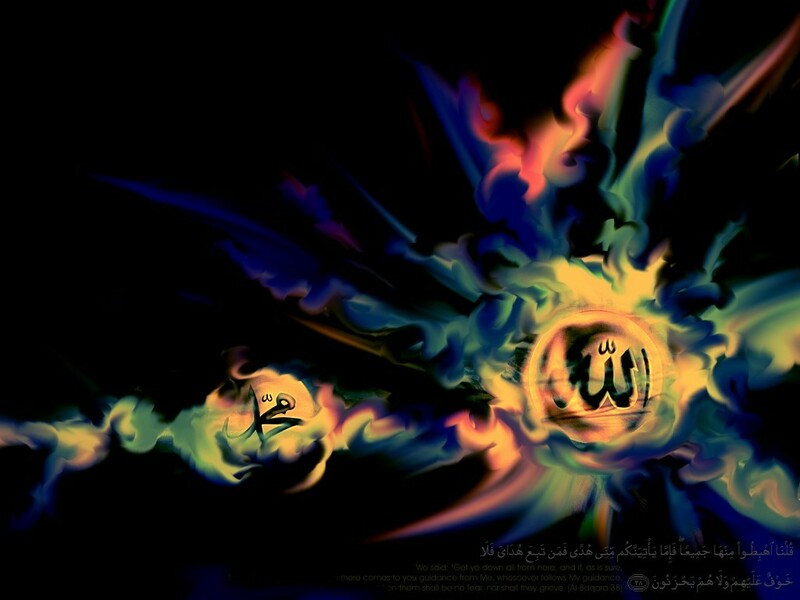 Allah’s omnipotence is his unlimited power. His reasons unknowable to man. Allah as pure Will and Power; the result – total Submission required. Kalam (speculative theology) – not authorized by the Quran, thus there is no need for it. Allah does not reveal himself to anyone. Evangelism is only for Muslims; others trying to advance their faith in a Muslim community are subject to attack; even being killed. Socialism is associated with Islam, as governance is authoritarian, a political leader with a scholarly guide (ulema) at his side, with requirements for portions of taxes specifically for the needy. Yet it is the nature of the leaders in Muslim dominated theocracies to enjoy the spoils of their resources and taxes selfishly more than beneficially for the people of their land. Does Reason Cause Apostasy for a Muslim? Lists are useful, however inherent in the specifics of any item noted above can be cause for much debate. I know reasonable Muslims. Are they apostates? I will never see it that way. They are human, gifted with a mind they choose to engage. God wants it just that way. They believe in Allah. The moderates, many, are willing to accept other faiths; pluralism is not a problem for them. Evangelizing Christians are not a problem with them. They are studied in the Quran, even the differences of historical Quranic scholars. Much of their research was self-motivated out of curiosity. Are they now not-Islamic enough? Has their desire to learn infected their Islamic soul so they are now infidels? Humans are wired to question things. Is their any doubt about that? Can a Muslim Have Doubts? If you are Muslim, Islamic to the core, have you never had doubts about just one item in the Quran? Allah forbid! Have you ever found two different interpretations of the same paragraph (Sura)? Have you ever had the slightest conflict with a Hadith, or choosing the Hadith most appropo (crediting the man who wrote it and not Allah); or questioned which is the Hadith to use? Are you confused as to which ulema, or school of Islamic Law, to follow; and why is your scholar or school the most wise? Why is there still today more than one sect or as many as 73 Muslim sects/tribes – are they all wrong or all correct? Who knows the truth? Have you ever questioned the motives of Muhammad (under your breath even)? One question, one concern, one doubt is God’s way of telling you, “you think, therefore you reason.” Don’t waste the gift God has provided. I am here to tell you from a non-Muslim perspective that God provides the truth and man, using reason, gifted with a conscience and a mind is used by God to do the deciphering. Man is useful in making the determination of right and wrong, good and evil, from what has been inspired by God. Man knows too when they have denied God and prefer not to follow the path of righteousness. God is the cause of what we know, and there is cause for our actions and thinking. There is cause and effect. Not every second is a miracle of Allah with unpredictable outcomes. What would be your answer? Read Isaiah 1:18.